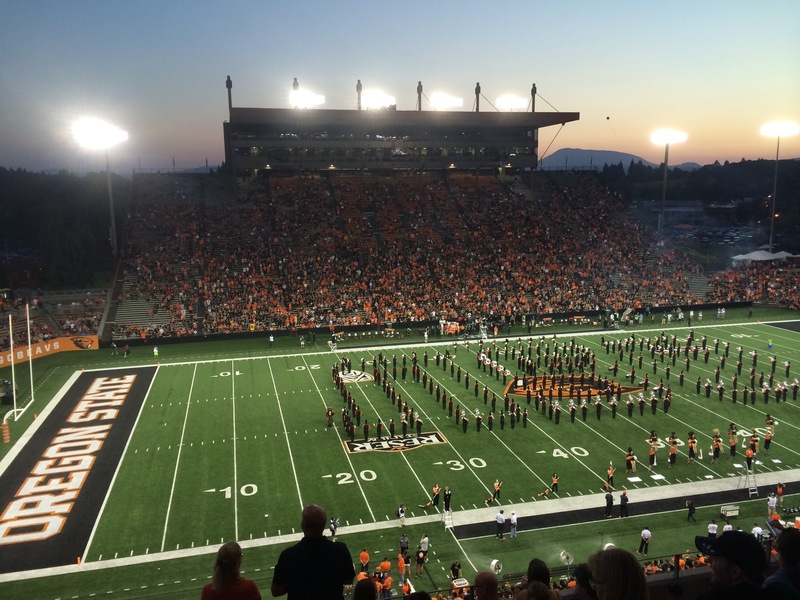 “The $42 million project is the latest piece in the athletics facilities equation for Oregon State University, which says it is determined to keep pace with its Pac-12 Conference opponents. Since 2001 OSU has added a new Sports Performance Center, the Beth Ray Center for Academic Support, a new basketball practice facility, a track and field complex, the Samaritan Sports Medicine Center and other upgrades that have cost more than $200 million. “It helps us stay competitive in football,” said Mark Massari, OSU deputy athletic director for capital projects and internal operations during a tour of the construction project with Gazette-Times reporters. There’s a word for this much capital investment in infrastructure. That word is “business”. That is what College Football is, even at a place like Oregon State, which will never be confused with the “big-business” football programs like Alabama, Texas, Ohio State, or even, Oregon. Even schools like Oregon State find themselves spending $200 million just to “keep up”, and keep the football money flowing in.